The TNT KaTropa continued their strong run with new import Joshua Smith. 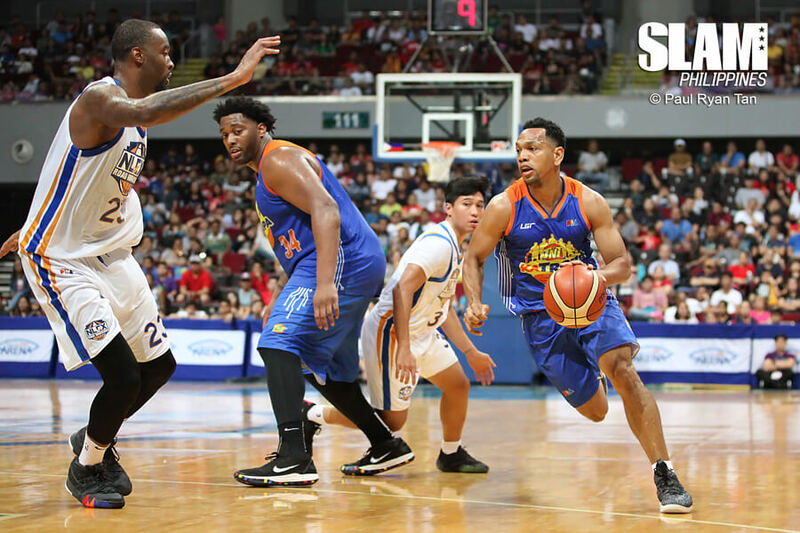 They’re now 2-0 with Smith in tow and have won their third straight win with their latest over the NLEX Road Warriors. Smith was a big reason TNT was able to erupt for 45 points in the first period and take an early 15-point lead. He dominated the paint against the Road Warriors while the his teammates took care of the outside shooting. TNT held a slim two-point lead midway through the quarter when buckets from Smith, Jason Castro and Jericho Cruz put the KaTropa up by 10. TNT closed the first period on a 14-7 run as Kelly Williams and RR Pogoy got on the board. TNT held their double-digit lead for much of the game. A Terrence Romeo drive put the KaTropa up by 12 with five minutes left in the final period. But the Road Warriors still had one last run in them. Alex Mallari went on a personal 8-0 blitz, highlighted by back-to-back triples to cut the lead down to just four points. Moultrie added a jumper a possession later to keep the deficit at four. But the NLEX offensive well went dry. Smith powered his way inside for five points in the final three minutes to help the KaTropa seal the win. The KaTropa win their sixth game to share the top spot in the standings with the Rain or Shine Elasto Painters. Smith finished with 24 points and 13 rebounds. Anthony Semerad had a solid game with 22 points and six treys. Castro and Romeo combined for 29 points and 15 assists. 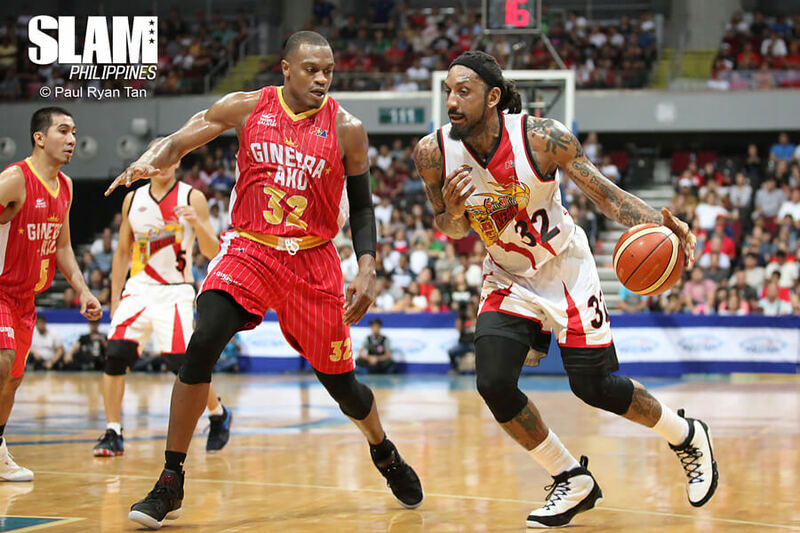 With their Playoff lives on the line, the San Miguel Beermen and Barangay Ginebra fought until the very end for a crucial win. The game needed an extra period to settle the score but when the dust settled, the Beermen came out on top. Both teams exchanged blows in the end of regulation. Japeth Aguilar buried a floater from the right corner off a well-run play to give Ginebra a three-point lead. But in the next possession, Alex Cabagnot sucked up the defense and found Arwind Santos open from the left wing for a three-pointer to tie the game. Santos came alive in the fourth period as he buried a fast break layup off a Justin Brownlee miss to give San Miguel the lead with 25 seconds left. Instead of calling a timeout, Ginebra quickly advanced the ball and Joe Devance buried a trey from the left corner to give his team the led back. June Mar Fajardo turned the ball over as Sol Mercado got the steal and was sent to the line. But Mercado split his free throws leaving the door open for the Beermen to equalize with three seconds left in regulation. Fajardo made up for his earlier mistake as he got the ball on the inbound, faked a handoff to Cabagnot and then turned around for a jumper over Greg Slaughter that trickled in to tie the score. Ginebra still had a chance to win in regulation but Renaldo Balkman stole the inbound pass to send the game into OT. Santos continued his hot streak from the end of regulation in the extra period. He opened OT with a booming triple and then added one more a few possessions earlier to sandwich free throws by Cabagnot and Chris Ross. The Beermen took a seven point lead and their defense shut down Ginebra to secure the win.